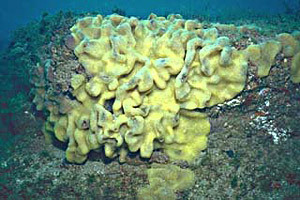 Reefs provide habitat for important recreational and subsistence fisheries. Over 500 federally managed fish and invertebrate species depend upon coral reefs and related habitats, including four Endangered Species Act candidate species. Throughout the world fisheries, coral reefs yield many tons of commercial fish catch annually. 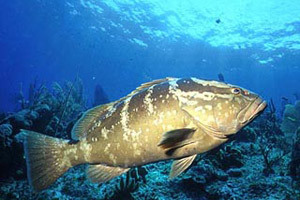 Reefs also provide important recreational and subsistence fisheries. Reefs prevent loss of life and property by protecting shorelines. Shoreline. Photo courtesy South Florida Water Management DistrictCoral reefs prevent loss of life and property as well as erosion and flooding by reducing wave action along shorelines. 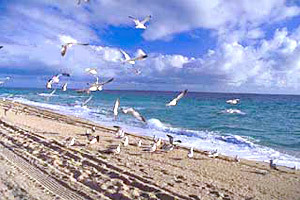 Coral reefs also provide the sediments that eventually become sand on Florida’s beautiful beaches. Reefs are considered “medicine cabinets” of the future! Considered “medicine cabinets” of the future, coral reef organisms hold great promise for pharmaceuticals including anti-cancer and anti-inflammatory drugs. Coral skeletons are also utilized as bone substitutes in reconstructive bone surgery. Reefs attract ecotourism and much needed currency for local economies. 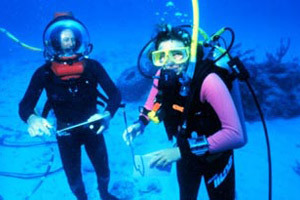 SCUBA divers. Photo courtesy OAR/National Undersea Research ProgramEco-tourism has developed dramatically during recent years, attracting millions of tourists every year. Many tropical countries rely on tourism to bring much needed foreign currency in order to support local economies. 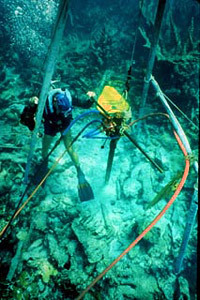 Reefs are “living laboratories” for scientists and students. Coral reefs are “living laboratories” where scientists as well as students can study the ecology and impacts on this habitat, relating such information to other environments, including the earth as a whole. ecology: a branch of science focused on the interrelationships between organisms and their environments.